The Chamber, members of its Public Policy committee and a few leaders from the local business community attended the Florida Chamber of Commerce’s Capitol Days on Thursday, March 7, in Tallahassee to ensure Gainesville’s voice is heard statewide and our local issues are addressed. One-on-one meetings were held with Senator Rob Bradley’s office, Representative Elizabeth Porter, Representative Keith Perry, and Representative Clovis Watson to discuss issues unique to Gainesville and to increase opportunities for local businesses. Among the issues discussed were talent & education, infrastructure development, business climate & competitiveness, and innovation & economic development. Click here to view the full Chamber Public Policy Agenda for 2013. In response to education concerns and graduation rates in our region and across the state, Representative Elizabeth Porter is working on a bill with the intention of creating different opportunity pathways within high schools to customize their learning for their specific talents and goals. The goal is to increase graduation rates and improve opportunities for our youth after graduation, which is aligned with the work of the Gainesville Chamber’s Education Task Force. Capitol Days are held each year at the beginning of the legislative session as a way for business leaders to meet with state elected officials and let their concerns be known. These meetings also allow officials to prepare business leaders for what to expect going forward. 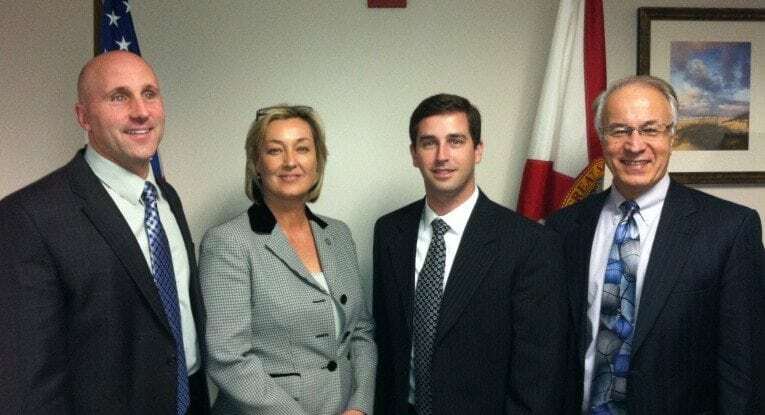 To learn more about the Chamber’s Public Policy Committee and action items already in the works, visit http://www.gainesvillechamber.com/public-policy/.